Covering more than 1.8 million-acres of southwest Colorado, the San Juan National Forest’s diverse terrain caters to hikers, skiers, anglers, bikers, kayakers or really anyone looking for an adventure. The San Juan Mountains Association aims to teach others to appreciate and experience public parks in southwestern Colorado. The San Juan National Forest, Colorado, covers more than 1.8 million acres of land. Dolores, Durango, Pagosa Springs and Silverton sit on the fringes of the San Juan forest and provide good access and supplies. The Durango to Silverton railraod cuts through the heart of the forest and has great views of the rugged terrain. The San Juan National Forest covers an estimated 1,869,931 acres of southwest Colorado, reaching from arid desert plains to volcanic peaks. Lakes, waterfalls, deep-cut canyons, rich forest, and historic mines can all be explored here. The lack of a big city in the area keeps the traffic to a minimum, and you’ll often be free to explore the diverse terrain with as much company as you choose. The San Juan National Forest runs 120 miles east to west and 60 miles north to south. Major towns along the boundary lines include Dolores in the west, Durango in the south, Pagosa Springs in the east and Silverton in the north. The forest can be accessed year-round, but harsh winter conditions make large areas impossible to explore November through April. Wolf Creek Ski area is a often called a snow vacuum as prevailing winds often dump twice as much snow here compared to the rest of Colorado. The ski area has expanded in the last decade, and offers terrain to suit any ability level. Many of the mountain passes have great backcountry skiing opportunities. Avalanche conditions can be dangerous, though, so hire a guide or ask about conditions first. Snowshoeing and cross-country ski routes launch from most of the mountain towns or on the passes. Summer is a great time to explore the region by car, bike, train, horseback or foot. Campgrounds are found along every highway, and multi-day backpacking trips are possible. If you have a vehicle, the San Juan Skyway, which connects the Durango to Silverton train is a great way to see some of the most remote terrain in the area. Several trains leave from Durango in the morning and return from Silverton in the evening. 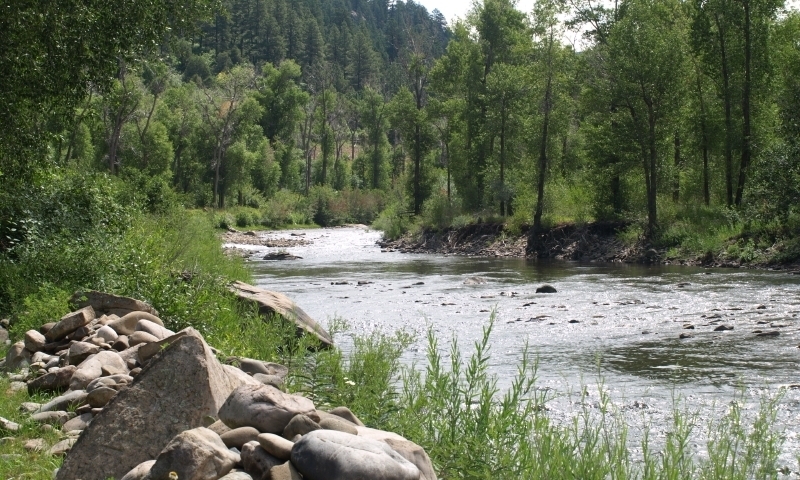 The Gunnison National Forest offers many recreational opportunities.